I received a few bits and pieces from Screenface before Christmas and have been putting them to the test. I love the idea of using ‘professional’ makeup in my day to day life. It’s no secret that us consumers pay through the nose for pretty packaging and the immense marketing budgets of the high street brands. So I’m always curious about whether going for professional products really will give more bang for our buck! 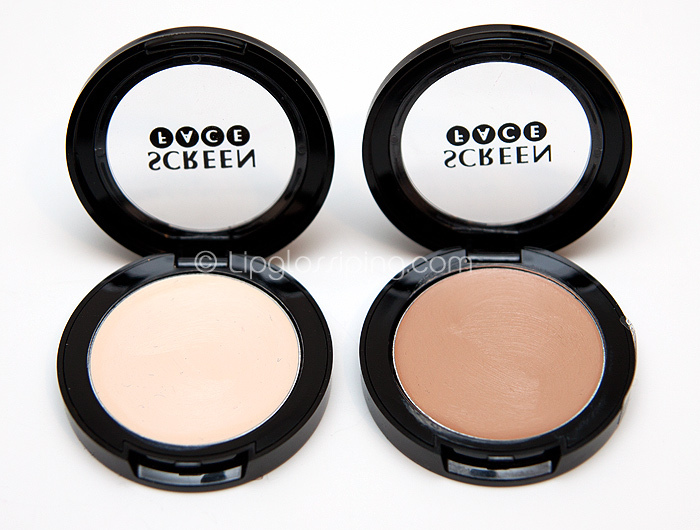 The Screenface Shadow Magnet Eye Primers (£8.95) come in two shades, light (left) and natural (right). They’re both hard-textured with less slip than the likes of UDPP. The shades can be mixed to create a good neutralizing base (should your eyelids need it) and they promise to deliver true colour and long lasting eyeshadow results. I’d agree on the true colour… but long-lasting? Not as much as the other eye primers in my collection. I did a side-by-side comparison with UDPP and the Shadow Magnets were beaten by a good few hours. I was surprised that these didn’t deliver in the way I’d anticipated from a pro-brand. 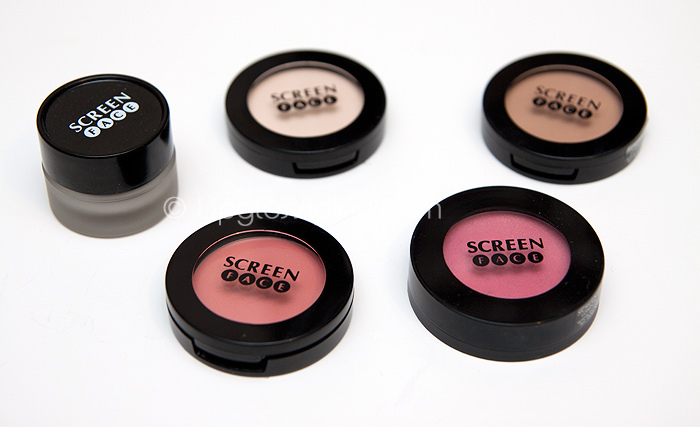 Screenface Cremewear Blush (£9.95) – Small, but perfectly formed. 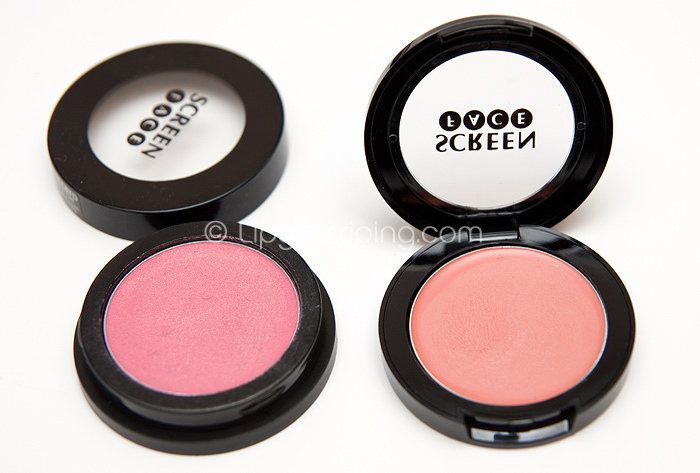 These 2.8g cream blushes glide on effortlessly with a good deal of slip, making blending a dream. The shades are sheer and glowy with a hint of sparkle (just a hint mind)… I couldn’t be more sold on these and am finding it very hard to pick fault with them. They last and last without sliding down my cheeks or transferring… the colour payoff is great, yet they remain buildable for the heavy-handed among us. 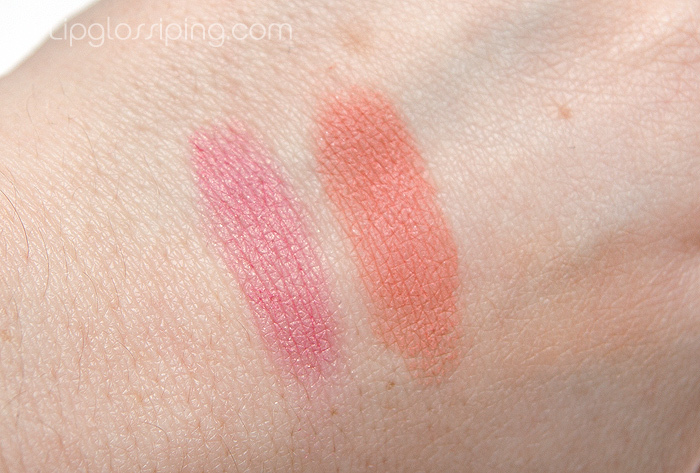 They remind me a little of the new Urban Decay cream blushes (due out soon)… but I prefer these. Just buy one. Or three. 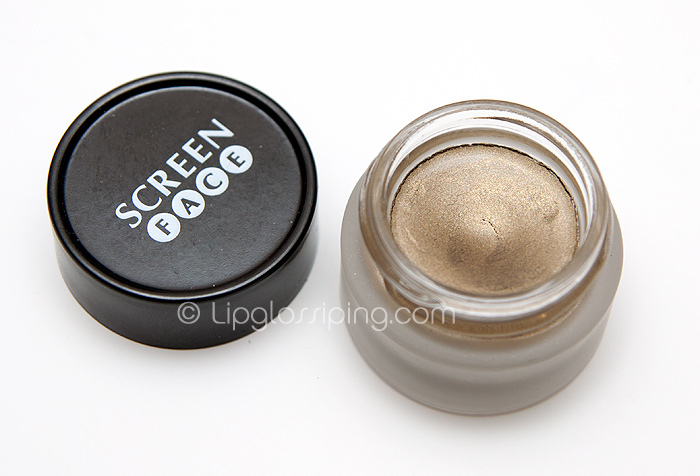 Lastly, Screenface Creme Shadow (£12.95) – Available in 6 shades, above is Moss… which looks more like an Antique Gold to me, strange considering they do a shade called Antique Gold! However, 7g gives you a hefty amount of product for your money. 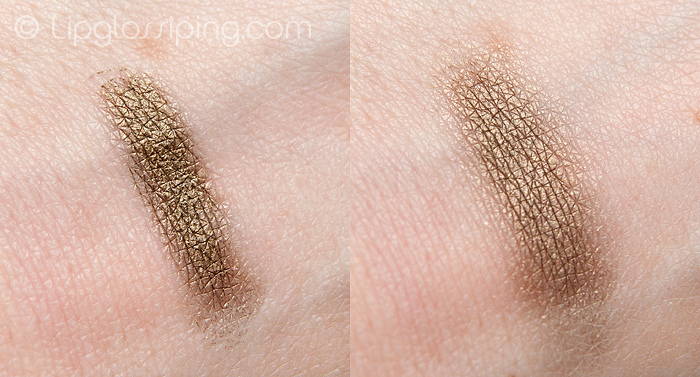 Deeply pigmented and spreads like a dream. Longevity isn’t that amazing on this if worn on it’s own but it does make a lovely base for intensifying powder shadows. I usually apply this with my finger for a sheer wash of colour and achieve around 5 hours wear before it disappears upward into the crease of my eye socket. It blends beautifully without setting too quickly and is a quick-fix for time-pressed mornings! If you find yourself in Covent Garden, I recommend taking a look around the Screenface Store on Monmouth Street. It’s a charming shop and I defy you to walk out empty-handed! I’ve been using Screenface products for years now. They have an amazing stack of lip stains (5 different shades) that are amazing. Their gel lines are good and their concealer trio are not bad either. They also have their own brushes which are good and cheaper than other more well known brands. They also have so much stuff in their shop that is targeted to film and theatre but a lot of it is totally adaptable for everyday wear which is brilliant. You can experiment and touch lots of things you would never see otherwise. Totally recommend popping in! Those blushes look beautiful and I am loving the shadow shade. I’ll have to check out the shop when I am next in London- my poor wallet! the gel liners look a bit like repackaged version of generic gel liners you’ll find on ebay (And Coastal Scents). I’d love to try the blushes, they are gorgeous! I use Screenface cover up. 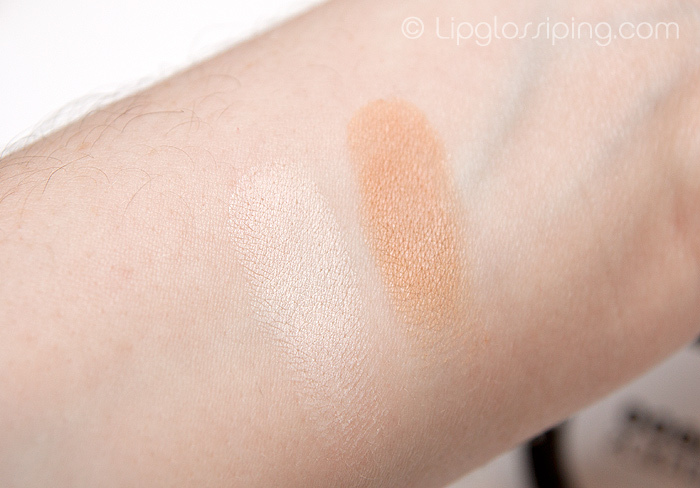 it is similar in texture to Mac or Benefit but sooo much better value – lasts for ages. Wouldn’t go back to paying over the odds now just for a pretty package.